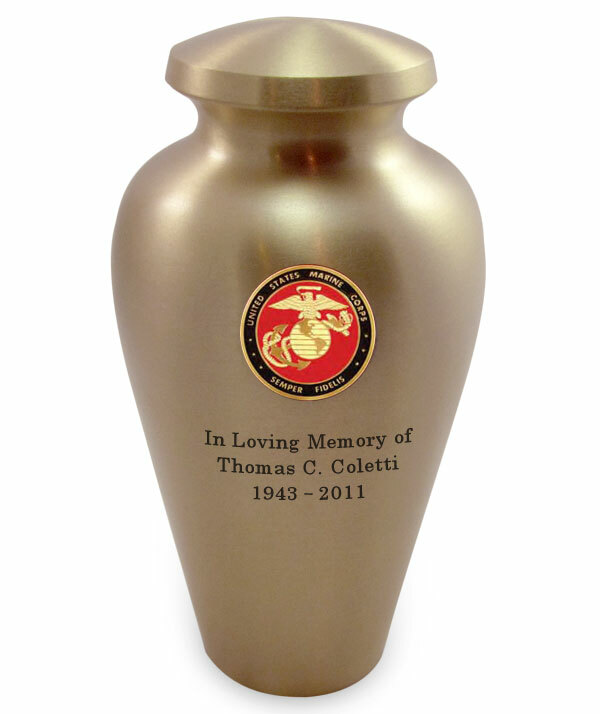 This beautiful Marine Corps Emblem Bronze Arlington Cremation Urn is made from solid brass with an elegant bronze finish. The front has a 2 inch diameter flat surface where the emblem is attached. 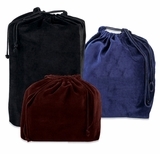 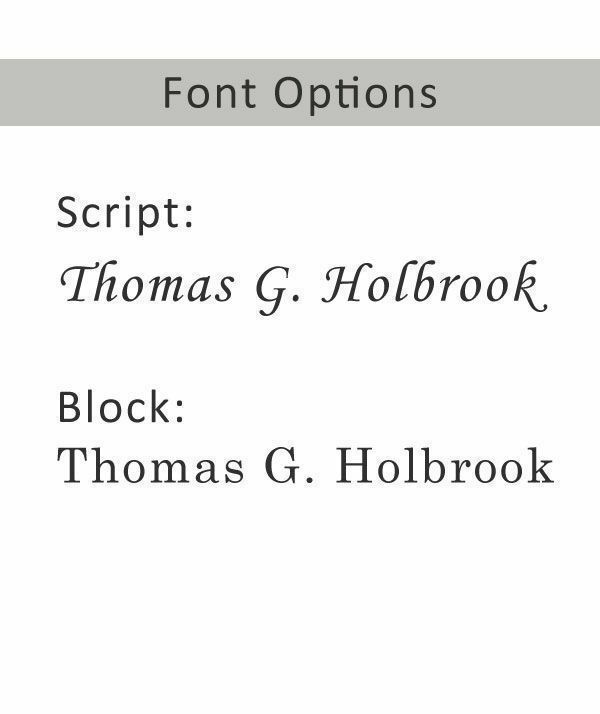 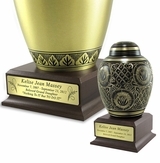 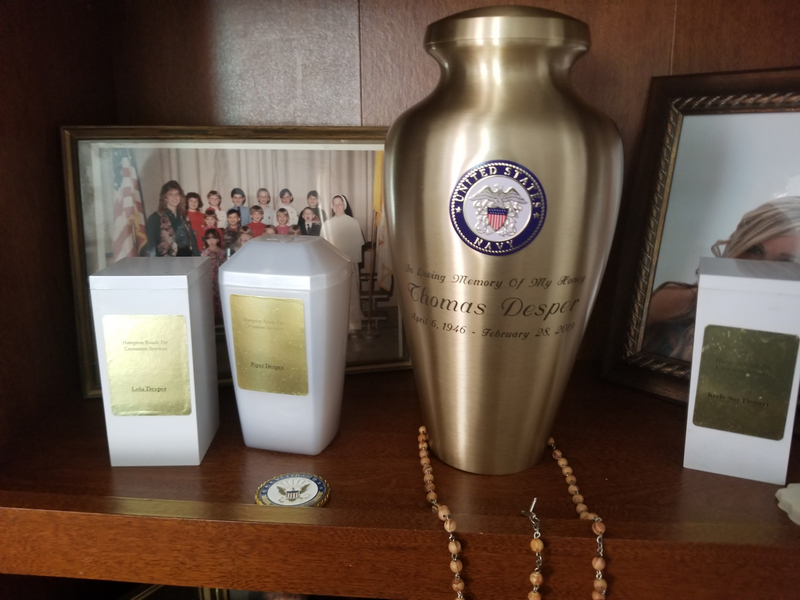 The urn is engravable with up to three lines of text (up to 40 characters and spaces per line) It has a threaded screw-top lid and has a capacity of 200 cubic inches for cremains (cremains capacity is approximately 1 cubic inch per pound of body weight).